Ever wanted to be more efficient during gym sessions? Would you like to increase your performance, endurance, and energy levels? Well, what you need is to start using pre-workout supplements. These mixtures work wonders and optimize daily workouts by providing your body with the energy and nutrients they need during exercise. Not all pre-workout formulas are made equal, and the effects of them may vary slightly so choosing the best one for you is essential for successfully enhancing your gym routine. A lot of people find that staying active for long durations of time can be difficult both mentally and physically. The reason for this is due to malnourishment of the muscles. Many athletes carefully select pre-workout supplements which are best for them based on many factors, and that enabled them to satisfy their bodies nutrient needs. Furthermore, different supplements work better for different workouts and activities, so its important to factor that in when choosing the right supplement for you. Tracking your progress and foals is extremely important when taking any supplement, to ensure that you are continually improving and benefiting from the results. Every different ingredient in a pre-workout supplement is carefully selected to enhance specific parts of a workout, and they also have various benefits. For example, some elements may work towards strength enhancement, whereas others may be used to optimize endurance. Should You Buy or Make Your Pre-Workout Supplement? Long lasting “endurance style” workouts work best with; Caffeine, Nitrates, and BCAA’s. Strength oriented or intense workouts work best with; Beta-Alanine, Sodium Bicarbonate, Caffeine, and Citrulline. One may also stack ingredients together to achieve multiple benefits and optimize results. For example, many powerlifters use a mix of caffeine, creatine, and citrulline together to push their bodies to the limit. So without further adieu lets get into the list of the eight best pre-workout supplements and what they can do for you. Many other studies also show that taking creatine as a pre-workout substance specifically for weight training; you should notice a 5-10% increase in overall strength gain when compared to no creatine use at all. Scientists believe that the reason for this has to do with the cells in the body having more energy while using creatine, and this allows for more exceptional performance during exercise boosting improvement levels. The recommended dose for beginners is to take around 20 grams each day slowly reducing the dose until you reach the optimal range of 3-5 grams per day as the body adjusts. Multiple studies also show that regular creatine use (when taken as a pre-workout supplement dedicated to weight training), will result in a 10% boost in muscle gain when compared to non-creatine users. Some individuals have extremely energy efficient biochemistry, and those people take creatine because their body does not naturally produce enough of the compound on its own. If you supply your body with sufficient amounts of creatine, you will allow your muscles to use more energy, which will result in a more productive workout increasing muscle mass faster over time. It is important to remember not to take too much of this supplement and to follow the recommended dose; improper dosage can result in diminishing returns. Caffeine is one of the most popularly used ingredients included in many pre-workout formulas. This substance has many stimulating benefits that can help to improve certain aspects of a workout routine. Caffeine intake stimulates specific areas of the brain. After taking caffeine a user will feel alert, and less likely to feel fatigued. Short-term energy use limits become increased after taking caffeine, and this allows the user to perform better during long work-outs. Below we have listed some exercises we believe are well-suited for caffeinated supplement use. Health and fitness experts recommend that beginners use caffeinated pre-workout formulas in low doses at first to test and see how it will affect their body. Once tested then they may up their dosage, but this practice is essential and recommended for safety. 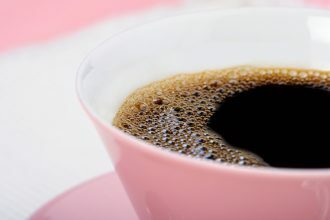 It is also important to remember that caffeine also affects the mind, and its wakefulness effects can be counterproductive if taken too close to the night when a user may want to fall asleep. It’s best not to ingest these types of supplements up to 6 hours before sleep. Beta-Alanine is an amino acid that is responsible for muscle mass recovery during times of fatigue. It does this by neutralizing acids that accumulate in the body after intense physical activity such as lactic acid. Taking Beta-Alanine before a workout can be extremely beneficial for anyone who tends to experience long periods of fatigue after working out. The recommended daily dose of Beta-Alanine is around 4-6 g daily, a little bit of this powerful substance goes a long way. Some people take more significant amounts of this substance, but there are no proven benefits to doing so; also there are no proven adverse effects to doing so either. Users who have allergies or any defeciencies should consult a healthcare professional before taking Beta-Alanine. The only known side effects reported from Beta-Alanine users is “Phantom Pain” on the skin. Citrulline is also an amino acid found naturally in the human body. However, even though citrulline the body typically produces normal levels this chemical, taking it as a pre-workout is beneficial to those who wish to push their bodies to the limit during exercise. This amino acid works by widening the blood vessels in the body which allows for better blood and oxygen flow. The extra blood and oxygen get absorbed by the muscles which allow for more nutrients to transform into energy, which results in many benefits. Many studies performed on athletes who specialize in aerobic exercise showed that overall productivity levels increased by about 12% while using Citrulline. There were also other studies that focused on individuals who practiced non-aerobic activities such as weightlifters and bodybuilders, and these studies showed a 53% increase in performance after using citrulline. Also, many athletes report that muscle soreness lessens after using citrulline before a workout. L-Citrulline (a form of citrulline) is mostly taken to aid endurance based exercises. The recommended dose for this supplement is around 6g before each workout. Citrulline Malate (another form of citrulline) is better suited for strength-based activities. The recommended dose for Citrulline Malate is roughly 15g before each session. Neither of these two substances will cause any harmful effects so long as the recommended dose not be exceeded. The recommended dose of sodium bicarbonate is around 0.15g per pound of body weight. You can take baking soda in the form of a supplement, pre-workout mix, or even just by mixing the regular stuff with water or your preferred drink. The best part about this pre-workout supplement is there are no known adverse side effects from using or overusing it. Baking soda is often used in large amounts to clean the digestive tract and has many health benefits aside from the ones already mentioned. The only known effect is minor stomach aches that some users may experience, but they are rare. To avoid this rare occurrence, one should start by taking small amounts of baking soda in the beginning and move up to more substantial amounts as the body adjusts. Some people may also be sodium sensitive, in which case they may need to consult with a healthcare professional before taking large numbers of sodium bicarbonate at a time. Many foods that contain protein, specifically animal proteins, contain large amounts of BCAAs. The easiest way to obtain these nutrients is by consuming the right amount of meat, egg and dairy products in your diet. Even though consuming BCAAs in the form of these foods may work for some people, others may also opt to include more concentrated amounts by taking them as supplements to experience the benefits they can offer. Taking BCAA supplements will almost instantly increase endurance levels, and allow users to run, lift, climb, and complete other physical tasks at a more efficient rate, for longer. Many studies also show that BCAA use will lessen the effects of muscle fatigue, and increase concentration levels. Moreover, BCAAs have also been proven to reduce muscle soreness experienced after workouts, and reduce the time it takes for the body to recover. The recommended dose for BCAAs is around 5-20g each day. It is also important to look for a BCAA supplement that has a good ratio of the three essential molecules. The optimal molecule ratio is 2:1:1 for Leucine, Isoleucine, and Valine to achieve the best results. Because BCAAs are naturally occurring in many foods and based on other scientific research, we can safely say that there are no adverse effects to taking BCAAs in the form of a preworkout supplement. The daily recommended dose of nitrate is around 2.7-5.9 mg per pound though it also depends on other factors such as body type and body fat levels. Users may consume nitrate in the form of foods in large amounts and not have to worry about adverse side effects or overdose. Beetroot juice is a natural and fantastic supplement used for fitness. It may be consumed as a pre-workout supplement, or at any time during the day. Studies show that beetroot juice improves users overall performance for any physical activity. Similar to celery juice, beetroot juice is very rich in nitrate, which as explained earlier can widen blood vessels in the body increasing blood flow to the muscles. Studies also show that consuming beetroot juice will show signs of accelerated muscle growth after just 15 days! If you opt to purchase your pre-made supplement, we suggest using amazon.ca. This online store has the largest selection of pre-workout supplements available on the market, combine that with being able to see large amounts of reviews of a product before buying it helps a lot in making your choice. Keep in mind that different supplements work best based on factors such as body type, weight, and experience. It is also important to note that research is essential before deciding which supplement to use. Often the dosage and combination of ingredients stated on the packaging do not have a firm scientific basis. Moreover, many supplements may contain blends of components that may make it hard for one to determine the exact amounts of each ingredient in the mix. We recommend users not buy any supplement they are confused about or have a hard time understanding its elements and how they work. In summary, as long as you research the ingredients of a product to make sure they are a good fit for you, double check the claims made by the manufacturer to make sure they are correct, check the reviews, and compare prices you should be good to go when purchasing pre-workout supplements online. Of course, the second option would be to create your pre-workout supplement by mixing multiple ingredients into one to create the optimal substance of your choice. This option is better suited for experienced users, who have done extensive research and testing. For many, this may seem confusing, or like too much work, but it is a very safe and secure way to ensure you are ingesting quality ingredients and the correct amounts tailored for your body type. As long as you do your research and have tested some of these ingredients on their own to see how they affect your body and help with your work-out, you should be able to create the perfect pre-workout formula this way. The way to do it is to buy each quality ingredient separately from a reputable source. If you are feeling at all confused, do more research on the substances you think you will need to achieve the desired result. Making your pre-workout on your own gives you the power to experiment with doses, and ingredients to figure out what works best for you. All of the pre-workout substances mentioned in this article are relatively easy to find and obtain, and if you but them in bulk, you will end up saving a lot of money compared to buying premade formulas. Those who are still not comfortable with the concept of creating their pre-workout supplements on their own don’t need to worry. Give this article another read, do more research, test some substances out and read more related articles until you feel you are ready. You can start by just reading the ingredients of premade formulas and seeing how each one effects you before deciding to go off and make them on your own. See what others have to say on online forums, and compare different ingredients doses, and results with other people who have similar body types and goals as you, eventually you will have all the knowledge you need to create the perfect pre-workout supplement. In this article, we have concluded that pre-workout supplements enhance exercise performance, improve health, and overall quality of life by impacting and significantly affecting one’s exercise routine. We also found that you can purchase or even make your pre-workout supplement tailored to meet your specific needs using some of the ingredients discussed in this article. Quality and research is of the utmost importance when selecting a pre-workout formula. In conclusion, you are in complete control of your workout and pre-workout regimen. We hope that reading this article will give you a better idea of what pre-workout formulas are, the different benefits they can have, and what to look for when choosing the correct pre-workout for you. Here’s to enjoying a healthier, more productive life by using pre-workout supplements!